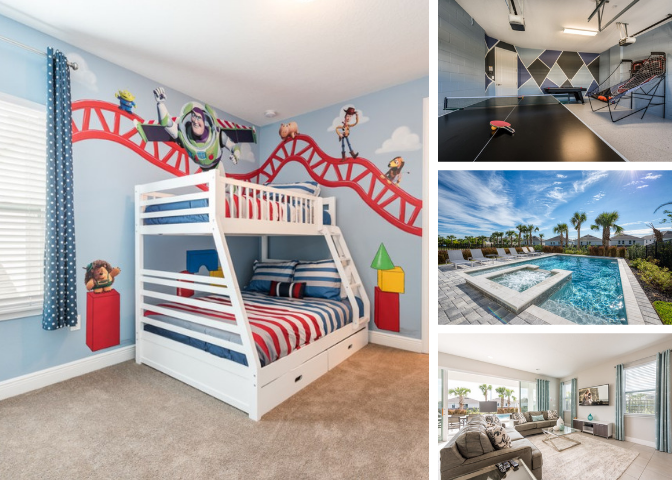 The Encore Resort at Reunion is one of the newest resorts in Central Florida and offers a new way to enjoy a luxury vacation home. 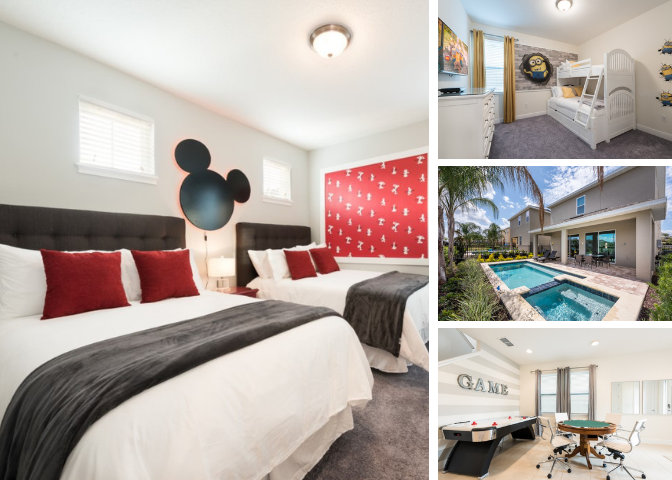 The homes located in the resort start at 4 bedrooms perfect for single families, all the way up to 12 bedrooms for large groups, teams, or multiple families! Encore also provides a complimentary shuttle service to take care of all transportation needs! Homes ranging from 4-12 bedrooms all with private swimming pools. On-site waterpark that features huge drop slides, twisting and turning raft rides, swimming pool, children’s splash area, and private cabanas. Soccer field, tennis and basketball courts, and sand volleyball courts. 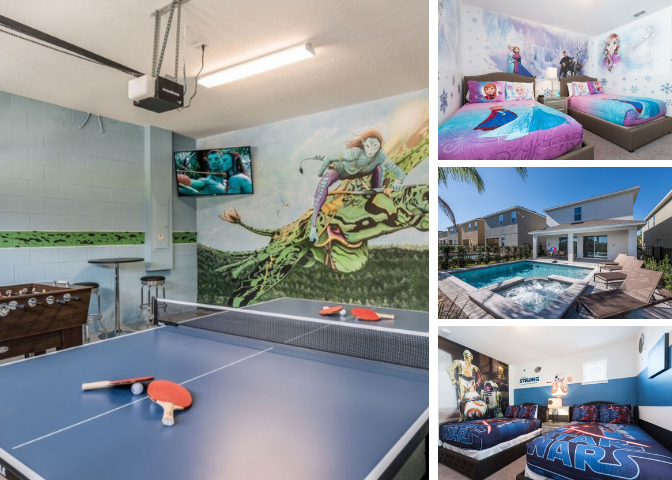 Children’s area includes gaming systems, large screen TV’s, crafts, games, arcade room. Professional equipment as well as fitness classes offered. There are 3 restaurants located on the resort as well as the Grab ‘n Go Market and in-house catering. Encore provides a complimentary shuttle service to the major theme parks. An additional cost to local shopping, restaurants and airport. 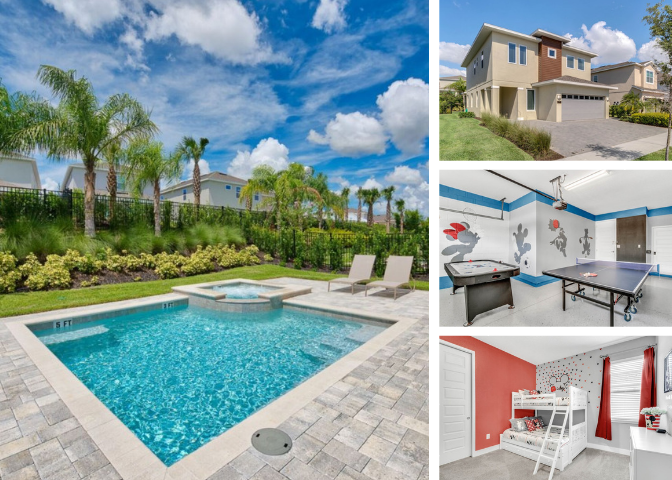 Luxury vacation homes in Orlando are available to rent for your next luxury Orlando vacation at Encore Club.